If the need arises to establish an electrically safe work condition on high voltage equipment (rated more than 750-volts) then temporary protective grounds is a necessity. High voltage lines and equipment are always to be considered energized until protective grounds are installed. Protective grounding techniques have been developed to protect workers from working on lines that are mistakenly thought to be de-energized or accidentally re-energized by some other means (switching, relays, induction, equipment failure, backfeed, etc.). This article will review some of the most important aspects of temporary protective grounding and help you understand what to look for when selecting, inspecting and using them. How does protective grounding work? 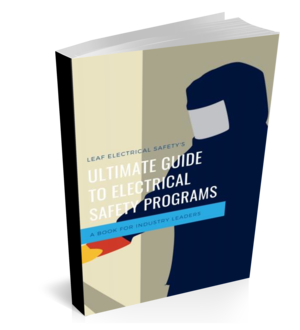 During the process to establish an electrically safe work condition, after a visual open has been detected by the worker and the circuit has been properly tested for absence of voltage temporary protective grounds are installed. If the system becomes energized during the work the grounds are designed to cause the maximum amount of short-circuit current to flow in the system. It means that the temporary protective grounding system is vital to worker safety and needs to be treated with great respect. The system is only as good as it’s the weakest link, therefore proper selection, inspection and cleaning are critical. The most important considerations for the selection of temporary protective grounds is the withstand rating and the length. Withstand rating is the amount of current the grounds can handle for a certain period of time. The length of the cables should be kept as short as possible (during a fault, strong magnetic fields develop and can whip the cables violently). Inspection and cleaning are two critical activities to be done prior to installing temporary protective grounds. With the potential to be exposed to such extreme levels of current the grounding system must be in perfect working condition and cleaned to ensure the maximum amount of current to flow. Loose connections between the cable and clamps or the ferrules and clamps. If any of these conditions are found the cable should be removed from service. Clean all current carrying interfaces on the temporary grounds with isopropyl alcohol and a stiff wire brush. Clean the conductors before connecting to them. All oxidation on both the phase conductors and the grounding electrodes must be removed before attaching the ground cables to them. Now it's finally time to apply the grounds and get to work. Arc flash and shock hazard are always present during this activity, so the proper PPE must be worn. To ensure maximum safety, grounding cables must be installed and removed in a specific order. Once work is complete, remove in the reverse order. Every type of equipment will have more specific directions for installation and removal, but the three steps above should always be followed no matter what. Temporary protective grounding seems to be one of those things that doesn't get the respect it deserves. The grounds needs to be used appropriately, kept in great shape, and installed/removed in the proper sequence. If you enjoyed this article please share it using the Share it with the link below! If you have questions please feel free to contact me at jon@leafelectricalsafety.com or @jonmtravis.